Drawing comes and goes, in stages, as our child develops. So, how do we know at what age our kid might have talent or a knack for drawing or painting? Preschoolers start drawing with scribble lines that move into simple shapes that represent forms by the time they reach kindergarten. As they develop their thinking skills, they start critiquing their own ability to draw. At this stage in artistic development, children are beginning to become more critical of their own work. Drawing up to the age of ten is usually something enjoyed by school age boys and girls. It is at this stage of development that most kids decide whether to continue to draw for enjoyment. Many times, they stop themselves because of a comment or comparison that shuts down the joy in making art. This happens as their reasoning skill set and identity develops. If they are deemed talented, they might whether the storm, and they start drawing on a more sophisticated level seemingly overnight. This change is attributed to the next stage of development. This is a vulnerable time when many kids stop drawing. Timing is important so that the frustration level does not hinder their love for drawing which is just starting to mature. This is the age to invest in your child’s interest and talent. Most kids come with their sketch book filled with pencil simple line drawings. They might get recognized for their ability to draw form or copy highly stylized drawings like Manga. 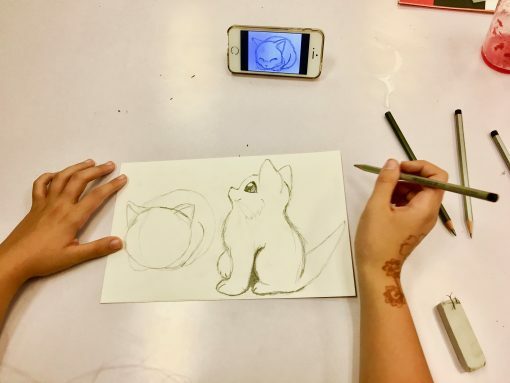 When kids arrive at this level of artistic ability, is when we start to receive inquiries into drawing/art lessons. 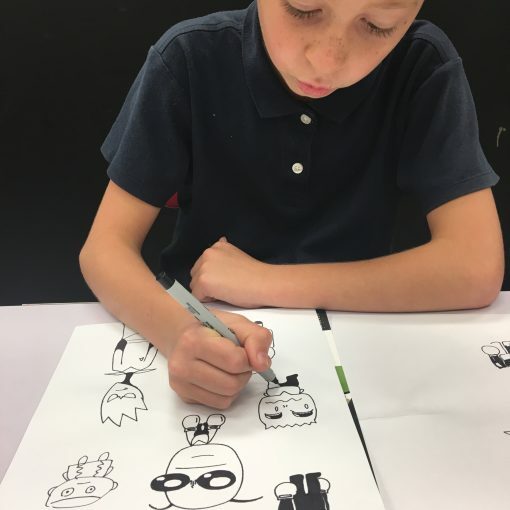 We typically meet with you and your child in the studio before you would start any type of art class or lessons. 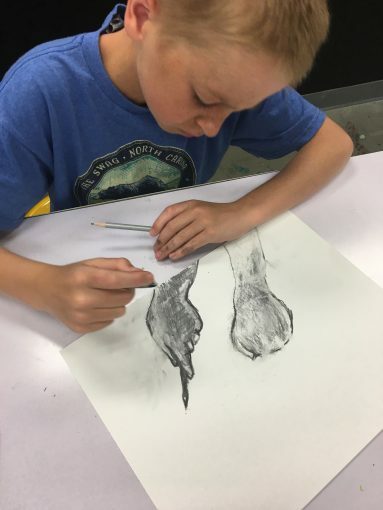 We have taken many kids that love to draw and developed their hand eye dexterity taking their ability to the next level. 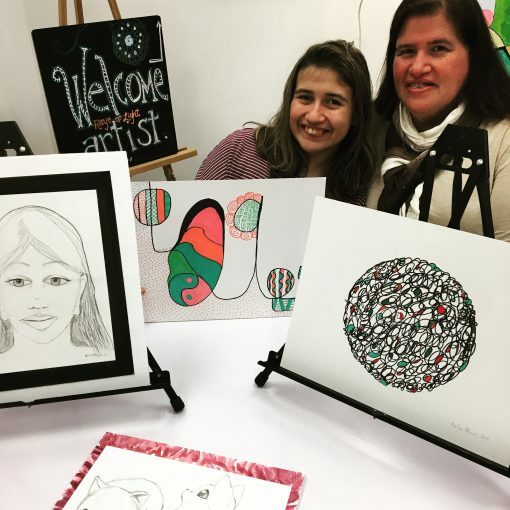 Typically, middle schoolers receive instruction and support in creating portfolio pieces, and the proper presentation of their art. The reward is a skill which can lead to a lifetime of enjoyment. Contact me for more information on private and semi-private art classes. 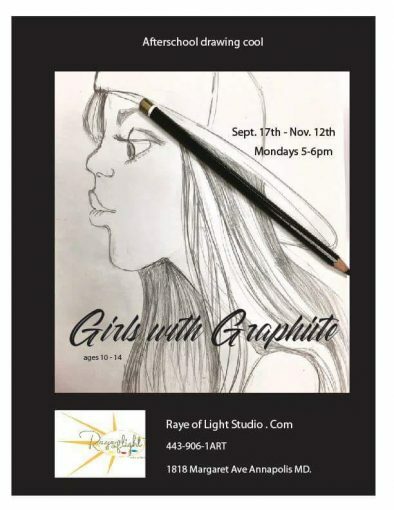 We are currently developing an after-school drawing class for girls, called, “Girls with Graphite“, see below flyer and link for more information.